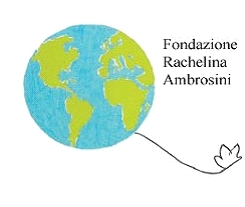 Education for Rural People: School Competition "Rachelina and Young People - 2012"
For years the Rachelina Ambrosini Foundation has been dealing with several humanitarian-charity projects in Italy and worldwide, working closely with associations, seriously committed over the surrounding area. The foundation works mainly with young people, not only with the more disadvantaged ones, but also helps those who are more fortunate, those who potentially have the tools to help themselves. it is for this reason that the organization involves students in initiatives to raise awareness and understanding in social situations, bringing them closer to the world of voluntary work and involving them in events such as “ The Days of Solidarity” and “The Days of Globalism”, together with a school contest that this year moves into its eleventh year (application forms available at www.fondazionerachelinambrosini.it).